European car demand rose at a slower pace in June as fewer selling days in Germany and Brexit-related concerns in the UK weighed on a peaking vehicle market. 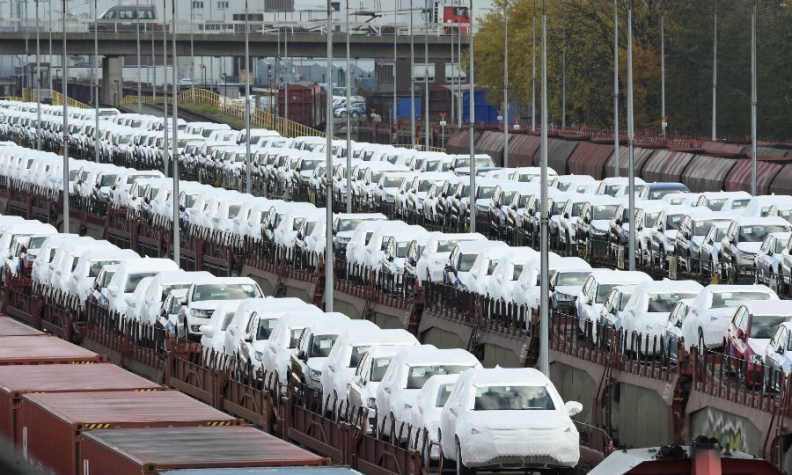 Industrywide registrations increased 2.1 percent from a year earlier to 1.54 million vehicles last month, with Toyota and Fiat models posting the biggest gains, the European Automobile Manufacturers' Association, or ACEA, said Friday in a statement. While the sales figure marked the strongest June since 2007, the growth lagged behind May's 7.7 percent jump. Download PDF, above, right, for June and half-year sales by automaker, brand and market. Europe's car market is at an inflection point, with momentum set to wane in the second half of 2017 after more than three years of recovery from a two-decade low. Buyers in Britain have been particularly cautious due to economic uncertainty as the country prepares to exit the European Union. Soaring consumer confidence and an appetite for attractive new small cars and SUVs have pushed up demand elsewhere in the region. Deliveries in Italy posted the strongest gain among Europe's largest economies, with a 13 percent surge in June. Registrations in Germany, which observed three Christian holidays last month, fell 3.5 percent. Sales in the UK dropped 4.8 percent as the effects of political strife over the pending EU pullout were compounded by a weak pound and a vehicle-excise tax that took effect in April. First-half registrations rose 4.6 percent to 8.46 million vehicles. Brussels-based ACEA compiles numbers from the EU's 28 member countries, excluding Malta, plus Switzerland, Norway and Iceland. Toyota Motor's 13 percent increase in June was buoyed by rising demand for its hybrid models, while Fiat Chrysler Automobiles NV rode the success of the Panda and Fiat 500 minicars to a 7.9 percent gain. Regional industry leader Volkswagen Group's market share widened to 23.3 percent in June from 23.1 percent a year earlier because of the growing popularity of its affordable Seat and Skoda brands and SUV demand at the Porsche luxury unit. Its biggest marques, the mass-market VW nameplate and premium Audi division, lost customers to competitors amid continuing turmoil over its diesel-emissions cheating scandal that's now almost two years old. PSA Group, which will control about 16 percent of the region's auto sales after completing the acquisition of General Motors Co.'s Opel/Vauxhall division this year, expanded its market share to 10.2 percent from 10 percent as its Peugeot 2008 SUV attracted buyers. June's deliveries underpin expectations that Europe's auto market is beginning to flatten, with growth in 2017 projected at 2.9 percent compared with 5.8 percent in 2016, according to research company LMC Automotive.